Ecanvasser provides you with an app, either iOS or Android, with which to replace traditional walk sheets. 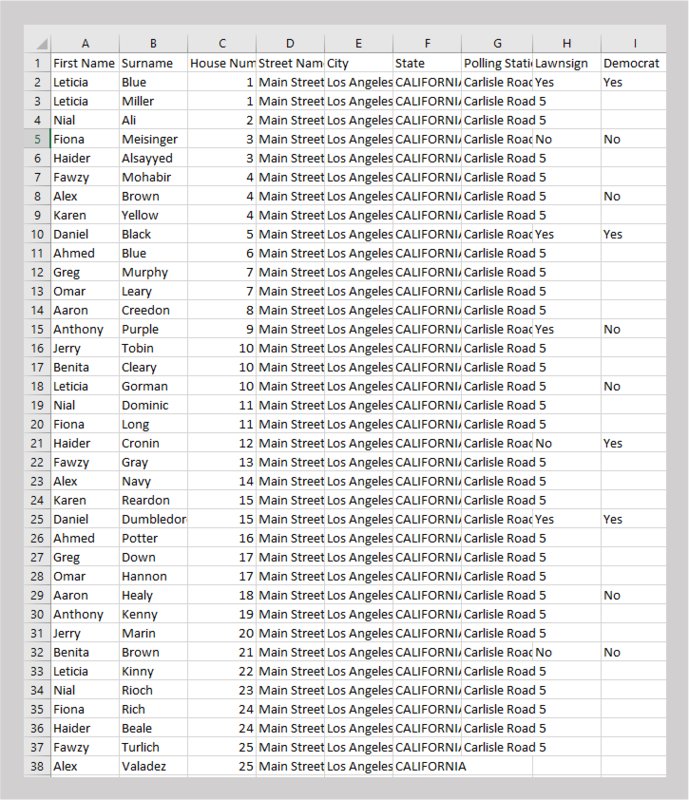 Part of the purpose of this is to stream-line the transfer of data from your canvassers on the door, back to your database, and campaign strategists. That said, there are a number of reasons why a canvass team may wish to also use, or have access to, walk sheets. As such, you have two options available to you to generate such a walk sheet, each with their own advantages. Click on your desired format. If using this method, you may well wish to customize the walk sheet column headings, as well as add more column headings as per your campaign needs. 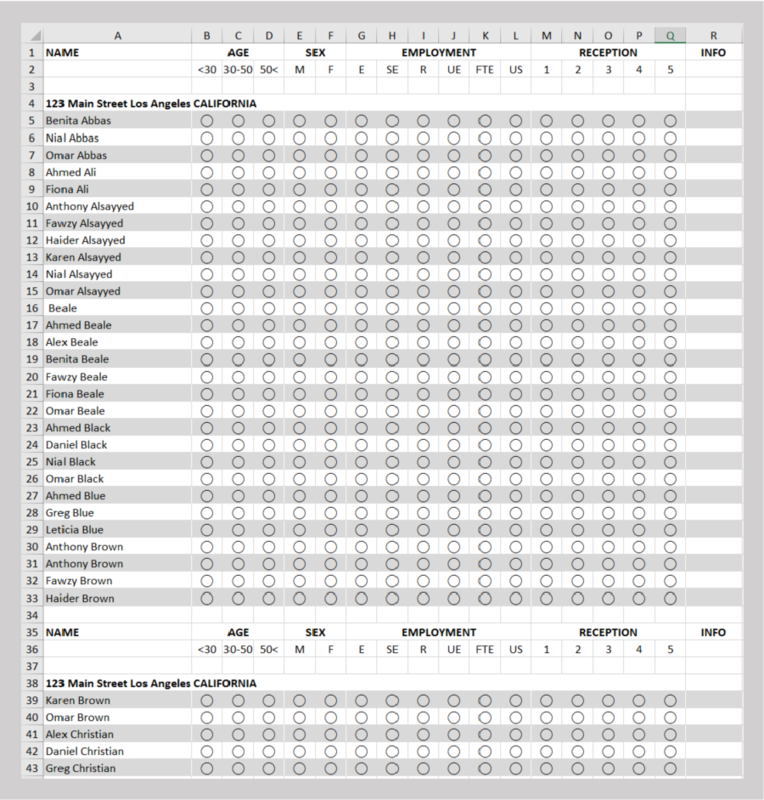 While adding in your columns may solve some issues with regard the above pre-configured walk-sheet, if you would like data already existing in your database to be available to your canvassers, you will have to build your own walk sheet. That said, this process is pretty straight forward too! In order to do so, export using the Database Export Function, having selected the required and desired information for your custom walk sheet. On first view, this export may seem to be missing some of the nicer formatting of the pre-configured walk sheet but we can quickly take care of that!